Over the weekend, I did a lot of biking. 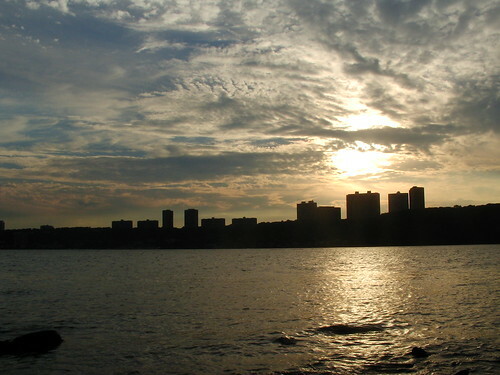 On Friday, I went up the west side to the George Washington Bridge and then had a little waterfront picnic. I snapped off a few sunset pictures, too. 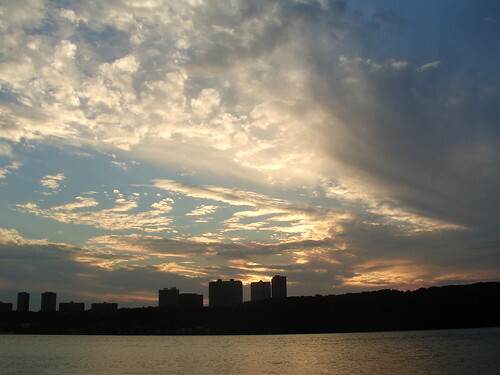 The sunset cloud cover over the Hudson in the city produces some really great skies and I've been having a ball taking pictures of them. 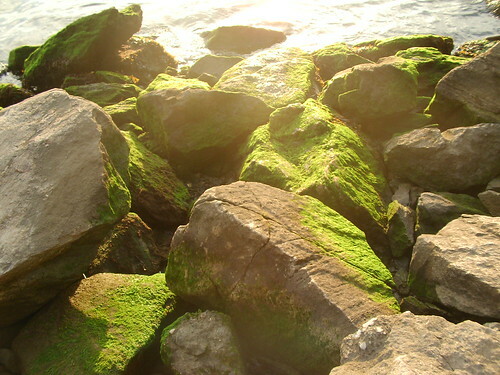 The moss on these rocks seemed to glow in the sun. 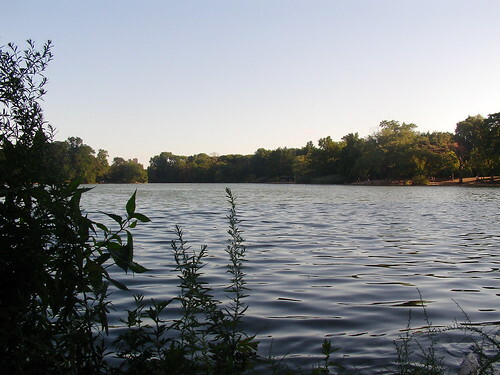 I also biked in Prospect Park in Brooklyn on Saturday. This picture is from the lake.